In recent years and months, AI and the rise of the chatbot has been hailed as the saviour of the traditional contact centre. The promise of significant deflection of contact, away from traditional channels such as phone or email has seen a growing number of brands take the plunge and implement ‘virtual agents’ across the contact centre. 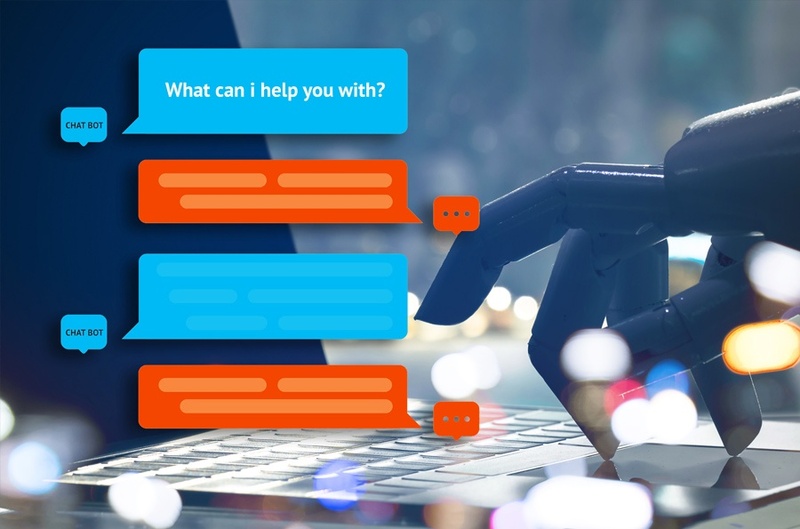 The reality that many CX leaders face, however, is that VA’s or chatbots make contact more convenient than ever before and with convenience, comes more contact. From reducing repeated customer contact, to taking a multi-channel approach, learn how to overcome the biggest Contact Centre struggles in our Infographic right here! Until chatbots become more sophisticated, many of today’s virtual agents act as switchboards merely directing contact to the right department or team. Far from deflecting contact, chat often becomes another channel with additional interactions to service. Understand the reasons for contact, and bake this into your chatbot capability. Optimise the bot, by knowing your limits & mimicking real advisors. Every Director/Head of CX will know the pain of trying to identify reasons for contact. Traditionally this is captured by an advisor at the end of an interaction, by selecting from a seemingly endless drop-down menu of options. Trouble is, the menu options often overlap and advisors tend to select the first option just to close the call and move on. Often all this does is create noise and confusion and is rarely used as an accurate measure of what’s really going on. So, how do you get to the heart of the matter? Start by asking your customer. After they’ve contacted you, ask for feedback; why did they need to contact, what were they trying to achieve? This is precisely what we advocate. Brands need to ask for feedback immediately after the interaction and use the same channel the customer contacted from. The customer is able to say in their own words why they contacted, and how the interaction left them feeling. From this, we identify the top drivers of contact, which gives you the precise blueprint you need to build a set of chatbot dialogues that will meet these top consumer requirements. Don’t have much time now? In order for your virtual agent to perform at its optimum, it needs to feel effortless in comparison to phone or email channels, and it needs to mimic your best people. Know your limits - Be selective with your bot usage; use it to handle low-level queries rather than trying to be all things to all people. Get this right, and your customers will rave about how you ‘effortlessly’ resolved their query super-fast. Get it wrong, and you’ll have customers ranting about how the bot couldn’t diagnose the issue and provided generic, robotic answers. These customers with more complex questions will invariably channel hop to picking up the phone, and when they do call, you can guarantee your handling time will inflate whilst they spend the first couple of minutes telling you how frustrating their chat experience was. Speed is key - If your bot needs to gather information to pass back to your customer, ensure this is an efficient process. Research shows the online consumer is gone if kept waiting more than 75 seconds, so any delays in connecting the consumer to your chatbot or being kept ‘on hold’ whilst it scours your internal systems for information will more than likely end the interaction. The most positive chatbot interactions are those that deliver an accurate answer in a reasonably prompt timeframe – achieve this and your customers will 9 times out of 10 choose chat over the inconvenience of picking up the phone or sending an email. Humanise the bot - Yes it’s a bot, but the point is to make it feel as human as possible. That's why its key to research the main reasons for contact and build your bot dialogues around these. By doing so, you construct a deeper interaction that feels more like a conversation instead of a regurgitation of FAQs. Get personal - One of the biggest frustrations we see time and time again arising from interactions with real advisors, is the feeling that you weren’t listened to. The advantage of a bot is there’s no rush; there’s no ‘average handling time’ to adhere to. Instead, convincing customers that they’ve been heard by your bot, comes from responding with words that appear as personalised as possible, based on the words the customer has used to describe their query. If you can apply these 4 learnings, you’ll gain customers trust in the moment, and confidence for future interactions. So whilst you may see an initial spike in contact upon launching your virtual agents, as you learn over time about the reasons driving contact, you’ll ensure your chatbot is on it’s A-game, improving its capacity to handle more interactions.